Type and insert text anywhere on a PDF document. Click where you need to add text and start typing. The mini toolbar appears above any content you add to the document including text, checkmarks, pictures, etc. To change the position of the content, click the arrow icon and, while holding down the mouse button, drag the content where you need to place it. OK confirms your action and activates the Text tool. To resize the content, use the tree icons. To delete content, click the trash can icon. Select the checkmark, "X" or circle in the main toolbar and click where you would like to place it. Click the Date icon in the main toolbar and click where you want to place the date. The current date appears by default. You can change it to any date you want. Select the Textbox icon in the main toolbar, click where you want to place the text box and type your comment. 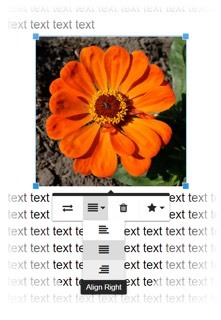 To resize the text box, drag its corners or edges. Change the vertical and horizontal alignment of the text using the vertical and horizontal alignment tools. 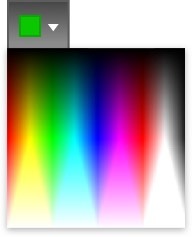 To change the background color, click the Background icon and select the color from the palette. To change the color of the borders, click the Box icon and select the color from the palette. Give limited access to your forms to others, track their activity, and restore earlier versions of your documents. Work together on any device to access, edit, and comment on the same document. Click the Done button and select Share from the drop-down menu. Alternatively, select the document in MY DOCS and click Share in the right pane. Add fillable fields: You can create checkboxes and fillable fields for various types of data including text, numbers, signatures, dates, and photos; for more details, please refer to the Add Fillable Fields section of this guide. Enter recipients' email addresses and set permissions. Write a message to the recipients and click Share in the bottom right corner of the page. Your colleagues will receive your invitation with a link to the document. They will have to log in to their PDFfiller accounts to access the document. To track your sharing history, go to MY DOCS > OUTBOX > Share. Select the Sticky icon in the main toolbar, click where you want to place the note and type your comment. To resize the sticky note, drag its corners or edges. To change the color of a sticky note, click the Box icon and select the color from the palette. Track all edits in automatically saved versions of the same document. Here, you can view each saved document state (documents are saved each time you hit DONE). 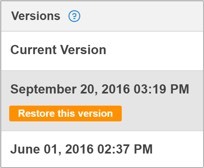 Clicking on Restore this version will revert your document to that previous state. You can undo this restore by returning to the Versions panel and choosing the most recent version. To exit the versions preview, click Close in the top right corner of the page. Browse authentication records for all activities in your account. 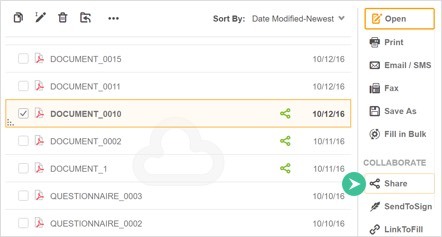 The audit trail shows when you logged in and out, opened, sent, deleted, downloaded documents, etc. You can make an inquiry for any period of time you are interested in. To check your activities, go to My Docs and click the Audit Trail icon in the top right corner. Select the period you would like to check. To save the audit trail as a PDF file to your local drive, click the Save icon. Protect your documents and keep important information confidential with advanced encryption and authentication. Protect your documents with two-factor authentication in your Encrypted folder. 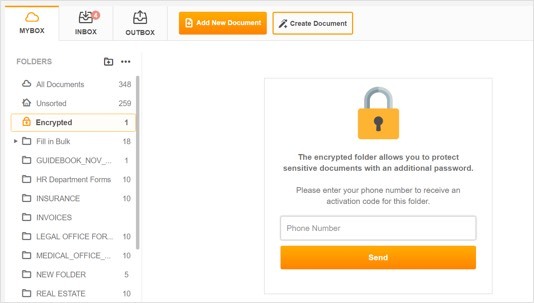 To activate the Encrypted folder, select it in MYBOX and enter your cell phone number. You will immediately receive an activation code via text message. 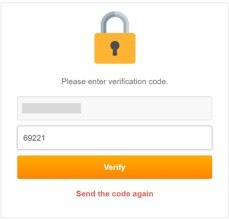 Enter the activation code and click Verify to create a password. Create and confirm your password — this will open the folder. To add documents to the Encrypted folder, drag them from any other folder. After you’ve finished working with your protected documents, close the Encrypted folder by clicking the key icon. It will also automatically lock after 10 minutes of inactivity. To access the documents in the Encrypted folder, you will have to enter your password again. Protect medical records with security that meets HIPAA standards. Go to MY ACCOUNT and select Account Information. Check the box in HIPAA Compliance section and click Save. Use your phone instead of the email to access your account. 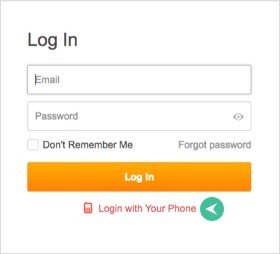 Select the Login with Your Phone option. Enter your cell phone number. You will receive a single-use login PIN via SMS. Enter the PIN and click Log in. Please note that prior to using this feature, you have to save your cell phone number in My Account. Interactive fillable documents available to anyone to fill out from any device. No coding or hosting necessary. Introduce recipients to your fillable document by adding a help or welcome video. While customizing the link to a document, insert a link to the video that you need to attach to the document. Please note that the video should be published on YouTube. Whoever opens the document for filling will be able to watch the video. Make your document publicly accessible. Create a link to the document and publish the link on your website as a button or an HTML link. You can start creating the link directly from PDFfiller's editor. Click Done and select LinkToFill from the drop-down menu. Alternatively, go to My Docs, select the document in its folder and click LinkToFill on the right. Customize the embeddable HTML link. Add fillable fields to the document. Create checkboxes and fillable fields for various types of data including text, numbers, signatures, dates, and photos. For more information, please refer to the Add Fillable Fields section of this Guidebook. Customize the link's text. Type your own text in the text field. It cannot be longer than 50 characters. Choose a link style. There are three styles available: simple link, small button and large button. You can also choose whether or not to use the document icon, just check or uncheck its checkbox. Choose the link colors by clicking the colored squares. 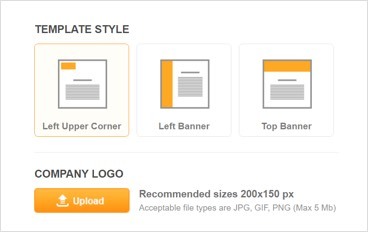 Upload a custom logo for your document. Click the Add New Logo button and follow your browser's tips to upload an image from your device. The image should be in JPEG, GIF, or PNG format and its size cannot exceed 5 MB. Whoever fills the document will see your logo in the top left corner of the page. If you choose not to use this option, PDFfiller's logo will appear by default. Provide the name, company and job title of the document's author. To request recipients' consent to use their electronic signatures and records, switch on the toggle. Password Protection and HIPAA compliance. Create a password to restrict access to the document. You will have to provide the password to those who need to access the document. To comply with the standards of data protection under the Health Insurance Portability and Accountability Act, check the box. Permissions. 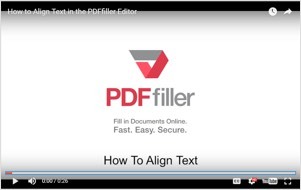 Select Full Access to enable the recipients to edit the document using all PDFfiller tools or select Signature Only to limit the editing capabilities to signature and date only. Signature Stamp. To turn on the "Verified by PDFfiller" stamp that will appear next to every signature, check the Enforce box. Request Additional Documents. You can request the documents that should be sent along with the filled document. Submission Requirements. You may request a name and email address from a person submitting the document. Download Options. If you permit downloads, whoever fills the document will be able to get a copy of it. Redirect After Submission. As soon as visitors of your site fill and submit the document, you can redirect them to any webpage you like — just insert the URL address of the web page in the text field. Notifications. You can choose whether or not to receive an email notification every time somebody submits the document. Enter email addresses of those who need to receive notifications. Document ID. 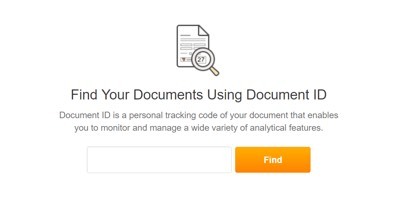 If you choose to use this option, PDFfiller will generate a unique ID that can be used to track the document. After you’ve selected all the relevant options, click Activate at the bottom of the page; this will open the Activate tab. Set the Document Status. Change the document’s status to “Active” or “Inactive”. Once the document is active, you will be able to distribute it using its URL address, HTML code, or QR code. 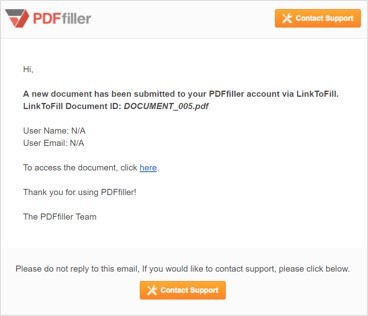 Your website’s visitors will be able to open the document in the PDFfiller editor where they can easily fill, sign, and submit the document with just a few clicks. Share your fillable document via QR code to allow instant access from any mobile device. Download the QR code and add it to any printed document, booklet, leaflet, etc. Smartphone users will be able to scan the code with their cameras to easily access the document on their devices. 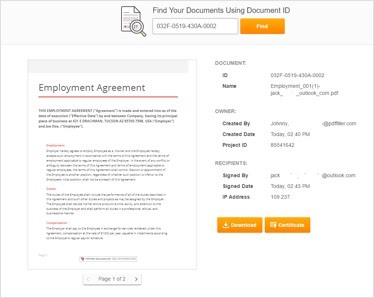 You can also share your document through social networks such as Facebook, Twitter or Google+. A separate downloadable application allows your forms to be available at all times on any mobile device. To install the Form Filler App on your mobile device, use the links to the App Store or Google Play. To fill and submit a hosted fillable form, all you’ll have to do is just open the link or scan the QR code. Export data from filled PDF documents as an Excel spreadsheet. To access the completed document, go to MY DOCS > INBOX > LinkToFill. Select the document and click Filled forms. To export information from the document as an Excel spreadsheet, click Export. Every time somebody fills and submits the document, you’ll receive an email notification. You can access the document using the link included in the notification. Access your filled forms anytime and from any device by keeping them in secure cloud storage. Go to MY DOCS > INBOX > LinkToFill and select the document you need. Transform any document or form into a fillable form with smart digital fields using our drag and drop wizard. 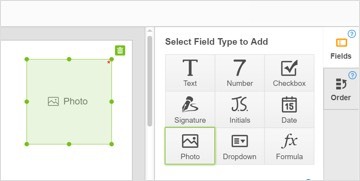 The technique for adding fields is the same for all field types. While editing a document, open the Add Fillable Fields tab on the right. Select the field you need, then drag and drop it where it should be in the document. Resize the field by dragging its corners or edges. You can mark any field as Required. Check the box and a red asterisk will appear in the top right corner of the field. It is impossible to submit a form if a required field is empty. To add a checkbox field, click the Checkbox icon and click where you want to place it. When you resize a checkbox, the next one will be of the same size so you will not have to resize each checkbox. Type of Checkbox. You can format the checkbox to be filled with a simple checkmark, “X”, or circle. Default. Select whether the default setting for a checkbox is checked or unchecked. Note. Enter instructions or tips for filling the field. Users will see the note when they hover their mouse over the field. Database Field Name. Create a name for the field that will appear when you export filled data to a spreadsheet or when you use a PDFfiller API. Group Name. Group checkboxes together by entering the same group name for each box. When filling the document, only one checkbox within a group can be checked at any time. To add a text field, click Text, then click where you want to place the field. Use the text formatting tools to preset the field’s text format including the font, size, color and alignment of text. It will be impossible to change text format while filling the field. To customize the text field further, click Advanced to expand options. Default Text is the text that will appear in the field when others fill the form. If you lock the field, nobody will be able to replace the default text. Note. Here you can enter any instructions or tips for filling the field. Users will see the note when they hover their mouse over the field. Max Characters. 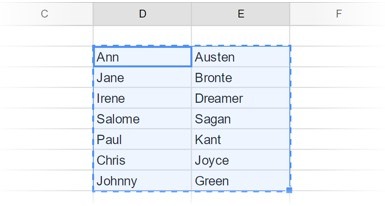 Set the maximum number of characters allowed in the field. The “auto” setting will limit that number to what can physically fit into the field. Max Lines. Set the maximum number of lines allowed in the field. To add a date field, click Date, then place the field where it should be in the document. To customize a date field, click Advanced to expand options. Format. Select one of many date formats. Default. Choose the date that the field will display before the user changes it. Note. Enter any instructions or tips for filling the field. To add a signature field, click Signature and drag the field where you want to place it. 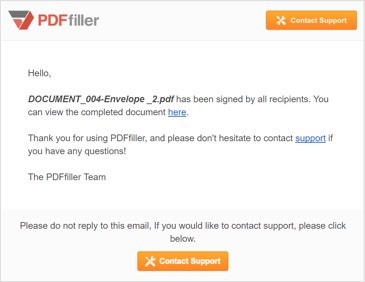 Anyone filling the document can click the signature field and use PDFfiller’s signature tool to sign the document. To add a fillable drop-down field, click Dropdown and drag the field where it should be in the document. To help users choose an item from the list, provide a suggestion in the Add Some Text to Help textbox. To add an item to the list, type a new value in the empty field and click + Add. To allow users to provide their own alternative, check the respective box. To customize a drop-down field, click Advanced to expand options. Default. Select the default item from the list you’ve created. Use the text formatting tools to preset the field’s text format including the font, size, color and alignment of text. To add a number field, click the Number icon, then click where you want to place the field. You can customize a number field just like a text field. To learn more, please refer to the Text Field section above. 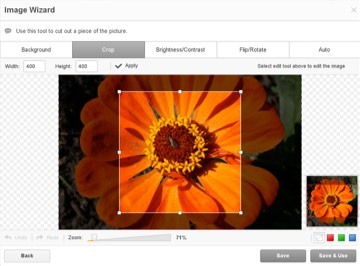 To add a photo field, click the Photo icon, then click where you want to place it. Anyone filling the document will be able to click the photo field and either upload a photo from their device or take one with their webcam. You can make a calculation using the formula field. First, you need to create number fields that will be used as operands. Then, click Formula and place the formula field where you need it. Write the formula in the Formula Builder just above the document using the number field names as operands. When a user fills the number fields, the formula field will show automatically the result of calculation. To add a fillable field for initials, click the Initials icon and drag the field where you want to place it. Create legally binding eSignatures faster than ever before. Sign documents on the go by drawing your signature on any mobile device. Tap the Signature icon, then tap the document where you need to put your signature. 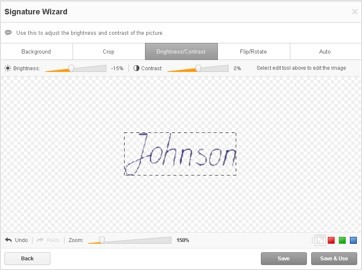 Create a signature using your finger or select a signature if you have already uploaded it. The signature you create will be saved for future use. 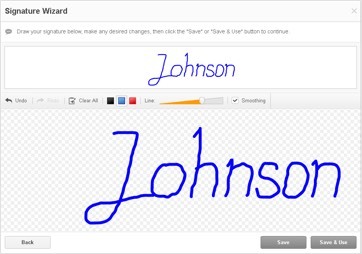 Draw a signature with your mouse or touchpad and add it to your document. Click the Sign icon in the main toolbar to open the Signature Wizard that allows you to type, draw, sign, upload, or capture a signature. To type a signature, click the T icon and type your name. Click Save and Use to use the signature immediately or Save to use it lately. In both cases the signature will be saved in the Signature Wizard. Click where you need to place the signature. Use the mini-toolbar to resize the signature or change its position. To draw, click the fountain pen icon and use your mouse or trackpad to draw your signature by clicking and dragging. You can also change the color and thickness of the signature. Save and place the signature exactly where you want it to appear. Make it easy to add a legally binding signature to a document by capturing a handwritten signature with a webcam. 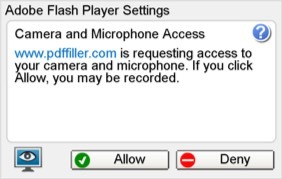 Click the webcam icon and allow PDFfiller access to your camera. 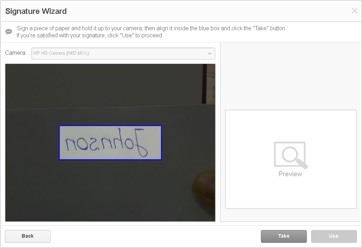 Sign a piece of paper and hold it up to the camera, so the signature fits inside the blue box, then click Take. You can then choose to make adjustments to the scan or use the signature as-is. PDFfiller verifies your signature with a stamp showing the date when you signed the document. To show the stamp, click its icon. All signatures added in PDFfiller are legally binding under the E-Sign Act (2000). Easily customize documents to fit your needs with a variety of tools. Erase any content from a PDF document quickly and precisely. Clicking the Erase button in the main toolbar will cause the eraser toolbar to appear under the editing tools. Use the slider to change the thickness of the eraser. Navigate to the content you want to erase, press and hold down the mouse button, drag the eraser across the content, then release the button and click OK. If the page color or background is not white, use the eyedropper tool to change the eraser’s color. Click the eyedropper icon then click once anywhere on the page or background. Navigate to the content you want to erase, and click and drag the eraser across it and click OK.
Use the Blackout tool to redact sensitive information in PDF documents. Click the Blackout button in the main toolbar, navigate to the content you want to redact, then click and hold down the mouse button while dragging your cursor across it. If you need to redact specific words or phrases, use the Search tool. Use the slider on the toolbar to change the thickness of the black line before or after redacting. To link the redaction mark to a web page, click the Hyperlink button and in the dialog window that will open next, type the URL of the web page and click Save. To delete a redaction, select it and click the trash can icon. 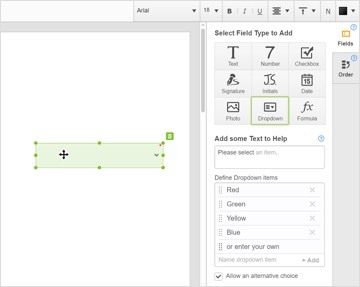 Use powerful tools to draw any shapes on PDF documents. Select the Draw tool in the main toolbar. The drawing toolbar will appear under the editing tools. Click the color square and choose the color from the palette. Click where you want to start and draw any shape by dragging. Release the mouse button to stop drawing and click OK.
You can change the thickness and color of the line after you’ve completed the drawing. Select it in the document and use the slider and the color palette. Highlight text in documents with a simple swipe of the cursor. Click the Highlight button in the main toolbar, navigate to the content you want to highlight and click and drag the cursor to highlight specific areas of the document. If you need to highlight specific words or phrases, use the Search tool and its highlighter. Use the slider to change the thickness of the highlighter before or after highlighting. Create new documents and customize their layout with a feature-rich web-based online editor. In My Docs, select a folder where you need to create a document and click Create Document. This will open a sample document in the PDFfiller Document Creator. To rename the document, delete its default name, enter the name you would like, and press Enter on your keyboard. Delete the sample content before creating yours. Adding text is easy. Just type it directly into the document or copy it from any other document. 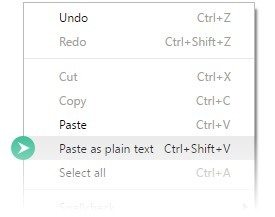 To paste text, press Ctrl+V or right-click and select Paste from the menu. You can also paste unformatted text by selecting Paste as plain text from the menu or pressing Ctrl+Shift+V on your keyboard. 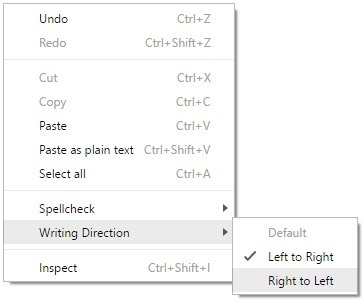 To change the writing direction, select Left to Right or Right to Left from the menu. To add a checkbox, click Insert Checkbox in the toolbar. The check box will appear at the text cursor’s position. Enrich your documents by adding images and tables. To insert a table, click Insert Table in the toolbar and move the cursor over the grid until you highlight the number of rows and columns you need. When you click in the table, the table tools will appear. To add a header, select H.
You can insert and delete rows and columns. To merge cells, select the cells you want to combine, click Cell in the table tools and select Merge cells. You can merge cells located in the same row or in the same column. You can split a cell in two either vertically or horizontally. Click in the cell you need to split and select Vertical split or Horizontal split from the table tools. To change the cell background, click in the cell, click Cell Background and select the color you want. Use the alignment tools to change position of text in cells. To add an image to the document, click in the toolbar or press Ctrl+P on your keyboard and then either drag-and-drop the image from your device into the box or click in the box to upload the image. Resize the image by dragging its corners. To change position of the image, use the alignment tool. 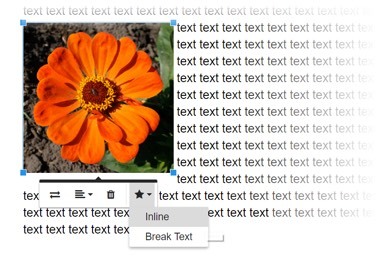 To control how text wraps around the image, select Inline or Break Text options. To replace the image, click Replace and then upload another image. To save the newly created document as a PDF file, click Done and select Save As from the drop-down menu. Select the PDF icon to save the document as PDF to your local drive. Customize your documents with visual content using simple, but powerful tools. Add a custom watermark to PDF documents. Click on the Add Watermark tab on the right to expand the panel. 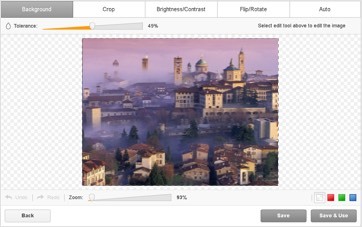 Check the box and add the text that you want to appear in the watermark. After the orientation, size, and opacity of the watermark have been defined, you can see the changes to your document in real time — simply select the pages you’d like to apply your watermark to see how it looks. To remove the watermark, uncheck the box. Number the pages of a document with just one click. While editing a document, open the Add Watermark tab on the right. Select the Page Numbering dropdown menu to change the format, size and position of the numbers on the page. To hide page numbers, uncheck the box. Enhance documents with images or pictures that have been uploaded or taken with a webcam. Select the Picture icon in the main toolbar to open the Image Wizard. You can either upload a picture that you already have or take a new one using your webcam. 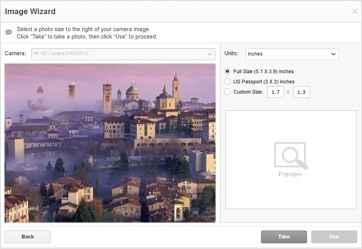 To upload a photo from your computer, click the Upload button. To place the image on the document, just click on it in the Image Wizard. Move or resize it for a perfect fit using the mini toolbar. The window that will open next allows you to crop the image, adjust its brightness and contrast, flip and rotate it, or enhance it otherwise. After you’ve finished editing your picture, click Save and Use to add it to your document immediately or select Save to use the picture later. Add instructional, marketing or welcome videos to the documents that you host using our LinkToFill feature. While customizing a link to a document, insert a link to the video that you want to attach to it. Note that the video should be published on YouTube. Whoever opens the document will be able to watch the video. Find specific words or phrases in PDF documents. Use the Search tool to find a word or a phrase in the currently open document. If a PDF document is not searchable, the dot on the Search icon will be red. To delete the current search term, click Erase. The next search term will automatically become current. To highlight the current search term in yellow, click Highlight. To redact the search term, click Blackout. Protect your documents with two-factor authentication, encrypted folders and HIPAA compliance. Secure recipients’ access to documents by applying a 4-digit PIN. While sending a document for signature, you can add an extra layer of security to the document. Enable the recipient’s authentication and enter his cell phone number. The recipient will receive a text message containing a 4-digit PIN. To access the document, the recipient will have to enter the PIN. Protect a folder or a form by adding 2-factor authentication, just like many bank accounts demand. To activate the Encrypted folder, select it in MYBOX and enter your cell phone number. You will receive immediately an activation code via text message. Enter the activation code and click Verify to create a password. Create and confirm your password, this will open the folder. Secure the authenticity of the document with the help of a unique Document ID. While sending a document for signature, create its tracking ID. 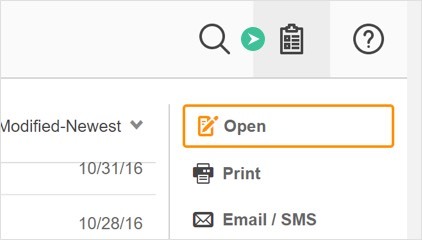 You can also activate the Document ID option for the fillable forms that you host on your website or via QR code using the LinkToFill feature. To see the document’s ID, go to its folder and select Document ID on the right. If you choose to display the tracking ID on the document, it will appear at the page bottom. Copy the document’s ID and save it in a file for tracking the document. To find the document and information about it, you don’t have to remember where you stored it. Go to My Account > Personal Information and click Track Document. Insert the Document ID in the search box and click Find. Identify recipients of the documents by requesting their names and emails. While setting the options for a fillable form that you are going to host on your website using the LinkToFill feature, go to the Submission Requirements and mark the respective checkbox. 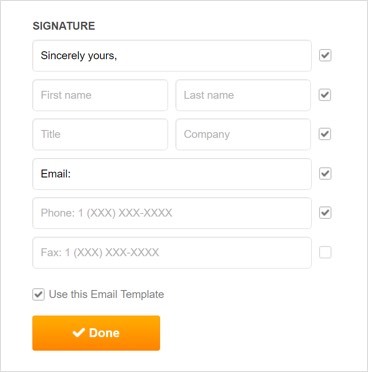 SendToSign is an easy and efficient way of requesting signatures. Make up to 20 copies of a document and send them for signature. Each recipient signs his own copy and submits it to you. You can start directly from the PDFfiller editor. When you’ve finished editing your document, click the Done button and select SendToSign from the drop-down menu. On the next page, select SendToEach. Add recipients’ email addresses and names, set authentication options and editing permissions, and write a message to each of them. Add as many recipients as you need by clicking on Add Another Recipient. Finally, click SendToSign in the bottom right corner of the page. 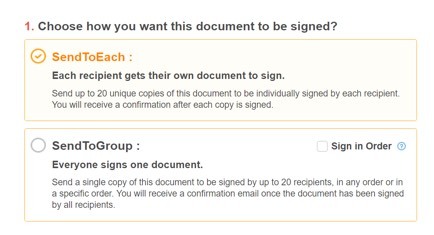 Send a single copy of a document to be signed by up to 20 recipients. Select SendToGroup and create an envelope name to label the group of signers. 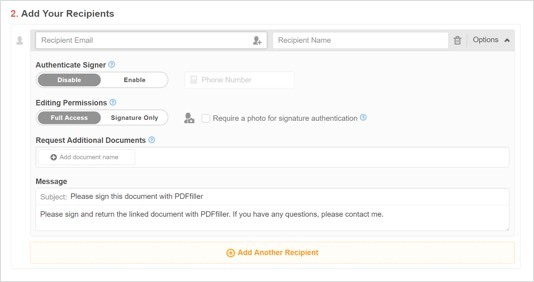 Use the Sign in Order option to set the order in which SendToGroup recipients will receive their requests and sign the document. Check the Sign in Order box then either drag or type to the left of each recipient to set your desired order. Ask a recipient to send you up to five documents as attachment to the document that he signs. Required fields ensure that all the necessary information is provided and nothing is missing. If the document you are sending for signature does not contain any fillable fields, but you need to add them, click Add Fillable Fields. You can add fillable fields to the document before you start preparing it for signature request. However, if you decide to create more fillable fields or to modify the existing ones in the midst of preparation, click Modify Fillable Fields. You can mark any field as Required. Check the box, and a red asterisk will appear in the top right corner of the field. For more information about fillable fields, please refer to the Add Fillable Fields section of this Guidebook. 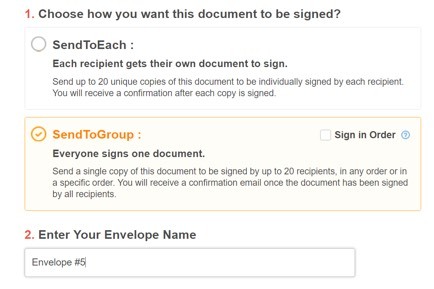 Once all the recipients sign the document that you requested to sign through SendToGroup, you will receive a confirmation email. You will receive a similar message every time a recipient signs the document that you requested to sign through SendToEach. To review the document, use the link in the message. Verify signer identity with multiple levels of authentication before giving access to documents. While sending a document for signature, you can ask the recipient to prove his identity with a photo. Check the box that activates this option. The recipient will receive a request to identify himself with a photo. The recipient should photograph himself using his webcam. As soon as you have received the signed document, you will be able to check the signer’s identity. Go to MY DOCS > INBOX > SendToSign, select the document and click Status. On the document status page, you will see the signer’s photo. You can download it to your local drive. You can add one more level of security to your document by having a recipient enter a password sent by SMS. While sending a document for signature, enable recipient’s authentication and enter his cell phone number. The recipient will receive a text message containing a 4-digit PIN. To get access to the document, the recipient will have to enter the PIN. PDFfiller verifies your signature with a stamp showing the date when you signed the document. To show the stamp, click its icon. Reflect the company brand on the emails and web pages the recipients see when completing documents. Make a document template correspond to company branding by adding a logo, watermark and branded colors. Add your company’s logo to the fillable documents that you host on your website using our LinkToFill feature. Click the Add New Logo button and follow your browser’s tips to upload an image from your device. The image should be in JPEG, GIF, or PNG format, its size cannot exceed 5 MB. Whoever fills the document will see your logo in the top left corner of the page. If you choose not to use this option, PDFfiller’s logo will appear by default. Check the box and add the watermark text. After the orientation, size, and opacity of the watermark have been defined, you can see the changes to your document in real time — simply select the pages you’d like to apply your watermark to to see how it looks. Customize emails and communications with logos, videos and unique messages to clients. Go to MY ACCOUNT and select Custom Branding. Choose a template for emails that you will send with the purpose of requesting signatures or sharing documents. Upload your company’s logo, the image should be in JPEG, GIF or PNG format, its size cannot exceed 5 MB. Create a signature and click Done to save your template. Automatically merge data from database or Excel spreadsheet with a document and send prefilled copies out to sign or save filled copies in your account. You can do it using Fill in Bulk, an advanced feature that enables you to automatically create prefilled documents. Select the document in its folder and click Fill in Bulk in the right pane. Add fillable fields to a document and fill them with data from a CRM, Excel or database. Click Add Fillable Fields. Use the Database Field Name to identify the fields that you need to pre-fill. Use the Add Task tool to create up to 1,000 files. And paste it into the Fill in Bulk spreadsheet. To proceed, click Next in the top right corner. In the dialog box that will open next, enter the name and description of the new job. 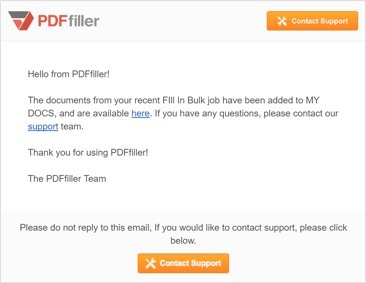 PDFfiller will create a new subfolder in the Fill in Bulk folder. The names of the new subfolder and of the new job are the same. Save all prefilled documents in a folder to access at any time from any device. After you’ve created a new job, a list of all your jobs will open. Click Save to MY DOCS above the list to save the prefilled documents. As soon as your documents are saved, you will receive a confirmation email. To open the folder that contains the prefilled documents, use the link in the message or just go to MY DOCS > MY BOX > Fill in Bulk and open the subfolder that has the job’s name. Any of the documents that you’ve created contains the fillable fields that you added and the data you exported from the Excel spreadsheet. Convert PDFs to DOCX, XLS, PPT, TXT and JPG formats, or make the reverse conversions. Convert your PDF file to .docx format when saving the completed document. Click Done and select Save As while the document is open in the editor. Open the document in Word or any other program supporting the .docx format for further editing. Convert your PDF file to .xlsx format when saving the completed document. Click Done and select Save As while the document is open in the editor. To convert a PDF file to an Excel spreadsheet, select the Excel icon. Open the document with any program supporting the .xlsx format if you need to make any calculations. Convert your PDF file to .pptx format when saving the completed document. Click Done and select Save As while the document is open in the editor. To convert a PDF file to a PowerPoint presentation, select the PowerPoint icon. Open the presentation with any program supporting the .pptx format for further editing. Create a new document from existing PDF files and rearrange document pages. Combine multiple PDF documents to create a new PDF. 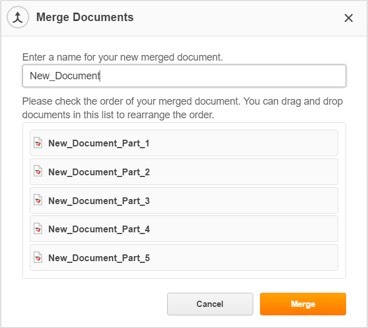 Select the documents that you need to merge, click More and select Merge from the drop-down menu. To change the sequence of documents, drag-and-drop them into positions you need. The order of documents in the list reflects their order in the combined PDF. Enter a name for the merged document and click Merge. The combined document will appear in the folder that contains the original PDFs. Change the order of pages in your PDF document. In PDFfiller editor, click PAGES on the left to open the navigation pane. Select the thumbnail of the page you would like to move; then, use the Move Up or Move Down icon at the top of the navigation pane. Every time you click the Move Up or Move Down icon, the page will move respectively one step up or down. Insert additional pages into your PDF document and format them according to your needs. Select the document in its folder, then choose More > Add Blank Pages. 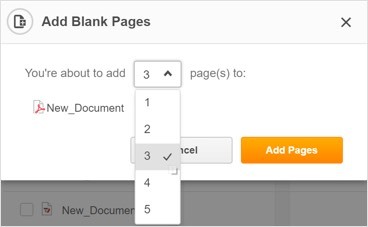 In the Add Blank Pages dialog box, select the number of pages you need to insert and click Add Pages. If you need to insert more than five pages, repeat the procedure. To delete a page, select its thumbnail in the navigation pane and click the trash can icon above.